Experienced striker Darren Henderson has signed a one-year deal to help Portadown's push for promotion. 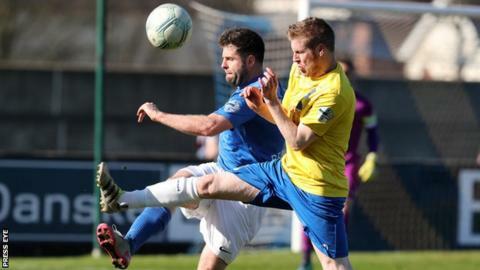 The ex-Coleraine and Glentoran forward, 31, was among six players to be released by Ballymena United at the end of the season. He joins Kyle McVey and Andy Kilmartin in signing for the relegated Ports and their manager Niall Currie. Stephen McBride, Denver Gage, Gavin Taggart, Daniel Wallace and Michael Kerr were also released by Ballymena.